G.J. Gardner Launceston supporting their community. Home/GJG, Newsletter, Schools, Tree Plantings/G.J. Gardner Launceston supporting their community. Ross Morley, Managing Director of G. J. Gardner Homes has been supporting our native environment (through Fifteen Trees) since 2013 and has helped plant 1000’s of trees across Victoria and Tasmania. For every new home built, Fifteen Trees organises the planting of 15 trees in the local district. 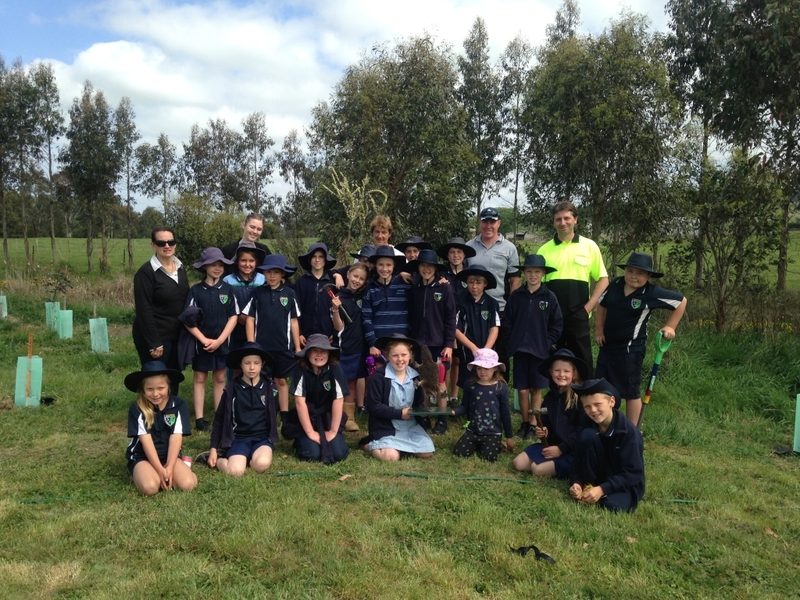 This year, the project will see over 7,000 trees planted by schools, landcare and various environmental groups. Chris and Tanya Dell from G. J. Gardner Homes Launceston are generous supporters of local community groups and their tree planting projects. This year, Chris and Tanya purchased 375 trees for Alison Hugo and her regional landcare groups. 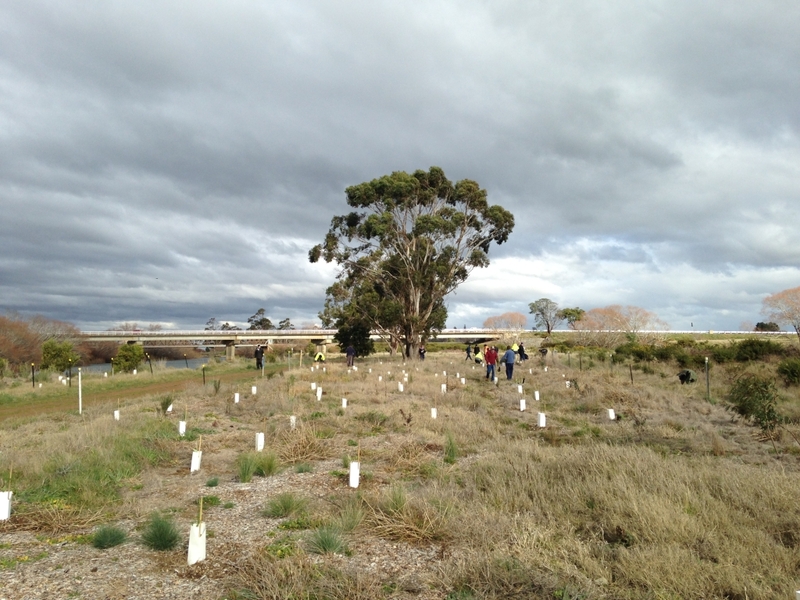 Two hundred and twenty five (225) were planted at Mill Dam and one hundred and fifty (150) trees went to the Westbury Town Common Landcare Group. The team from GJG also took time from the office to plant many of the trees. Wednesday July 1st, found the Tasmanian TAFE Horticulture Certificate II & III classes spending the afternoon at the Mill Dam walking track at Longford to apply support to riparian and floodplain revegetation project. They planted over 220 trees and guarded them with milk cartons to reduce rabbit browsing. The trees were generously provided via G.J Gardner in partnership with Fifteen Trees. Staff from G.J Gardener Launceston were also involved with the planting. The classes’ efforts were celebrated with morning tea and lunch magnificently provided by G.J Gardner Homes and NRM North. Then on October the 19th and 26th of October, students from Westbury Primary School and children from Launceston Day Care Centres joined Di Robinson from the Westbury Town Common Landcare Group, NRM staff Stu Brownlea, council worker Colin Lockhart and staff from G.J Gardner to plant out 150 native riparian species. Each child wrote their name or decorated their tree guard so that in years to come they can come back and visit the site and see how their tree is going. The planting supports the long term planning and vision of The Meander Valley Council and the Westbury Town Common Committee. This once neglected flood plain is being transformed into a popular recreational public space with healthy wetlands, improved water quality and increased biodiversity. Thank you Tanya and Chris for supporting our local NRM projects, the trees were greatly appreciated. Alison has done a mighty job this year to not only find 2 wonderful homes for our 375 trees, but also to organise the volunteers, source the trees and provide morning teas. Thank you Alison, your organisational and logistical skills are amazing. By Colleen Filippa|2017-12-15T10:42:34+10:00November 9th, 2015|GJG, Newsletter, Schools, Tree Plantings|Comments Off on G.J. Gardner Launceston supporting their community.